In my first run with the Valor I had been using the Benchmark AHB2 stereo amplifier for the midrange and higher frequencies. It was splendid! 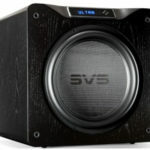 Imagine the seemingly limitless reservoir of power resulting in a gargantuan, utterly stress-free sound, that results from the Valor’s bass and subwoofer being internally powered by a ridiculously perfect 2,750 Watts per channel of class D amplification in a speaker with 105 dB sensitivity. Just my kind of overkill! After a few weeks of that I swapped out the AHB2 for the Gold Note PA-1175, and things got much better. 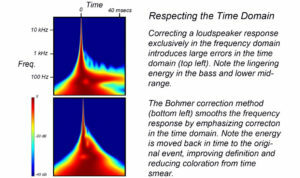 I wondered what the effect would be if I simply dropped into the system the PA-1175 without even running the computations for the Bohmer room correction. How awful would it be? To my surprise it was impressively better! I didn’t change a single setting, and the Valor leaped in sound quality. This was unexpected as the settings were supposed to be optimized for the AHB2, yet performance-wise the PA-1175 rode those settings masterfully. Eventually I redid the computations for system setup and things did get even better; it would be a conundrum if they had not. There are a lot of whacky things that happen in system building, and one simply has to try the permutations out. At this point I have an unanswered question as to why the settings for the AHB2 worked so well for the Gold Note amp. The upper portion of the Valor is 4 Ohms impedance. The AHB2 puts out 190 Watts stereo at that impedance, and the PA-1175 puts out 200wpc into 8 Ohms. The spec for 4 Ohm stereo operation of the PA-1175 is 300wpc. As when an amp is bridged and the structure of the sound changes, that increase in Watts alone might account for the dramatic difference between these outcomes. However, that is another question to be explored at a future date. An enjoyable aspect of delivering power via the PA-1175 is that it features a Damping Factor (DF) function that toggles between settings of 25 and 250, the former being similar to a tube amp, and the latter similar to a solid state amp. The Valor responded readily to these settings, and as advertised, the PA-1175 made the speaker sound driven by powerful tube amps when the DF setting was at 25, and by solid-state power when it was at 250. 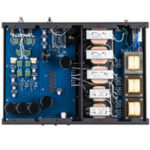 See my recent review of the Gold Note PA1175 Amplifier for further insight. One result I did not anticipate was the degree of performance difference obtained between the AHB2 and the PA-1175. I had used both of these amps in multiple systems with a variety of components, cables and speakers. The variance in performance was not enormous, more along the lines of preferences as displayed between the high and low DF settings. Both were commendable with particularities to each amp. However, the VALOR seemed to leverage these distinctive characteristics in such a way that the PA-1175 came to the fore. That was an unusual experience I had not encountered prior. 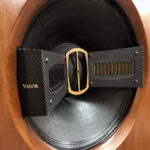 My initial assessment is that the active system of the Valor with its 56 bit depth DAC is so dramatically different than a passive speaker system that differences which normally are masked between amps are laid open. I still hold that the AHB2 and the PA-1175 are more closely matched when used with passive speakers, but at least for a Legacy Audio speaker system using the Wavelet, be aware that amplification idiosyncrasies become determinative as opposed to tangential. No audio system is so complete, so perfect that it cannot be tuned for better performance, and that includes the Valor. For those who are blessed to obtain the Valor system, here are some methods that will elicit premium performance. +Replace the IEC C7 power cord supplied to the power supply with a higher quality premium cord. Audiouqest makes them, and even an inexpensive model will improve the system sound mildly. +Replace the stock power cords on the speakers with your choice of aftermarket power cord. This is a fundamental improvement. The selection of power cord will bring particular characteristics to the fore, so you want to try at least three different ones. +Depending upon seating position and room conditions, tilt the speakers forward slightly by placing ¼” wooden shims underneath the rear footers. I have a set of four wooden drink coasters that work well. Tilting the front baffle slightly downward brings the concentric driver in line with the ears. This makes a terrific improvement in overall satisfaction, and it is not a subtle adjustment. Why should a person listen with focus in only the horizontal plane, when it can also be had in the vertical plane? I do the same with the large Kingsound King III electrostatic speakers, and they respond in kind, with a more resolved, uniform soundstage and better center image. I do not do this with shorter speakers (i.e. 5’ and under). +Replace the fuses for the powered section of the Valor speakers. It seems that my reviews get so involved that I never seem to get this important swap completed. In every instance where I have used aftermarket fuses the benefit has not been small. I presume that it would benefit Valor as well. + Employ the Schroeder Method of Interconnect Placement (double ICs) from the Wavelet to the user-supplied amplifier(s). This is not subtle, but a major improvement to the Valor, or any other speaker system. It enhances the system performance in a way that single ICs cannot. No amount of system tuning with the Valor captures what this method can do. In one permutation I used doubled ANTICABLES Reference Level 4 XLR Interconnects assembled using Audio Sensibility XLR Y-Cables. (Please note the special construction of the Y-Cables necessary to employ XLR cables in Schroeder Method). Note that I did not utilize the Schroeder Method for the active portion of the Valor’s inputs. These internal amps are Legacy’s class D PowerBloc, and at this time not much is known how class D amps will react universally to doubling the ICs. I certainly was not going to experiment with it on a $80K review speaker! Anyone going beyond the scope of doubling ICs for the outboard amplification of the Valor only does so on their own initiative. Also, take care to note that the Schroeder Method is a do at your own risk activity, and if you have concerns with your equipment you should consult your manufacturer. +Double the speaker cables (Laid perfectly in parallel) from user-supplied amplifiers to Valor’s speaker posts for the outboard amplification. This has become so common in my use that I can hardly imagine not doing so. +Upgraded outlets in the room; I put Furutech outlets in my room years ago, and if I ever had to move the system that would be one of the first things I would do. +Adjust the Valor’s Manual Channel Level Adjustments (dB); I never touched the top three Manual Channel Level Adjustments, but only the bottom one (channels 4 and 8), which controls the strength/effect of the Stereo Unfold Technology in relation to the other drivers. This is in my experience determinant of overall satisfaction with the speaker system. The Stereo Unfold is perhaps the most heroic element of the Valor, as it completes the vision of a speaker that reconstructs the ambience and relative spacing of the performance in an acoustic space. It required careful selection of the primary drivers and the crossover filters and slopes. It’s one thing to make a speaker with all forward firing drivers, but entirely another to make that speaker reshape the acoustic space behind the speaker to blend and enhance the primary launch. The influence of channels 4 & 8, the Stereo Unfold channels, is to broaden and contour the spatial relationship of the soundstage to the left, right and rear of the speakers’ output. You will see in my Interview of Bill Dudleston that I discovered the output and frequencies of the drivers for the Stereo Unfold differ between the inside and both the rear and outside drivers. In essence, the center image created by the mains is not encroached upon, but the output to the back and outside can be manipulated as much as you wish. Therein lies the beauty and majesty of SUT. It is a continuously variable soundstage manipulation setting that allows precisely the amount of soundstage presence around the center (phantom) image as the user wishes! This is unprecedented in the field of HiFi audiophile speakers. To gain an appreciation of the Stereo Unfold Technology, I first turned it off. Yes, I killed it, took the slider on the software remote for channels 4 & 8 all the way to zero. Why would I do that? When the Stereo Unfold drivers have no output, the Valor performs comparably to other Super-speakers. That is no shabby performance! Even without the Stereo Unfold operating, the Valor’s performance exceeds all other high-end speakers I have used in my room. One of the reasons why is the sensational degree of scale the Valor is able to generate. I will spend some time discussing this aspect of the speaker’s performance below, but for now, we remain focused on the Stereo Unfold technology. Audiophiles attempt to describe the listening experience using a lexicon of music and reproduction specific terms, including the phrases (or ones similar), “front/mid/back hall (row)”, and “near-field/mid-field/far-field”. The former attempts to describe the perceived relative position of the listener to the performers. The latter refers to the physical listening position in the room relative to the speakers. Quite often audiophiles who enjoy live music events consider the front/mid/back hall positioning critical in their enjoyment of the event, and seek to create a similar effect when playing their stereo. I never had cause to consider how much the center image is impacted by its intensity relative to the rest of the soundstage until I was able to experiment with the Stereo Unfold drivers. Typical domestic speaker systems create a fixed result in terms of the relative strength of the center image, and it is either pleasing or not. Changing the components and cables can massage that sense of strength of the center image to a degree, but not nearly enough to remake the speaker. That paradigm has been shattered by Legacy Audio with SUT. Paradoxically, the center image is not changed at all, but everything surrounding it is! With channels 4 and 8 the listener can make the ambience field of the Valor evaporate entirely (off), or bring it into play, even to the point of it encroaching upon the center image! Consequently, the perception is that the center image is changing, and it is relative to the rest of the soundstage. It can be made to stand out as with a normal dynamic speaker, or it can be recessed to a chosen degree. It is not normal for audiophiles to think in terms of a selectable forward or recessed center image – in a word relocating it. Remember, the actual output of the L/R speakers is not changed at all; only the surrounding ambient field changes. But, as the center is manipulated to be forward or recessed some very good things can happen. Essentially, the listener can position himself anywhere in the hall he wants! It is like having a chair on a conveyor system whereby at the listener’s discretion the seat can be moved toward the stage or away from the stage. (Know that this is not remotely like repositioning the listening chair, as there are two fields in play, as discussed previously.) This influences how immersed one wishes to be, or how much of an overview one wishes to gain from a more distant perspective. I know of no other high fidelity speaker system offering this option. Simply duplicating the front wave launch toward the rear (head wall) does not consider the damage that can do to the center imaging. Legacy Audio’s application of the Stereo Unfold Technology is the only one I know that attempts to preserve the center image unmolested. Think of the potential advantages this can confer! One of the live recordings I turn to often in reviews is the Eagles’ live performance of “Those Shoes”. Don Henley’s voice has a piercing nature, not quite shrill, but edgy. I have often worked with components and cables to tame that edginess. But, with the Valor’s Stereo Unfold I can put forward Henley’s voice or pull it back more into the background. The intensity of the ambient field relative to the center image allows Henley alone to be repositioned in the band in real time such that he seems perfectly located. This does not wreck the spatial relationships between the band members; conversely, it takes the irritating emphasis off the lead vocal and allows full enjoyment of the entire band. Marcus Miller’s bass is often showcased on instrumental remakes of popular songs. In several of his recordings the engineer has made his instrument so pronounced that it begins to dwarf the other players. A bit of a tweak of Channels 4 & 8, increasing the SUT drivers, brings up the output of the band and Miller’s bass no longer strafes them. Note that this does not noticeably influence the definition, sharpness of the imaging, sense of pace or timing, but merely the location of the performer. Frankly, I’m not overly impressed with a lot of mixing that happens in the studio. So many pieces are awful, without balance between the lead and the band. Sins of mixing the lead (solo) relative to the band (orchestra) are mitigated with the Stereo Unfold. This is an advantage impossible to confer with a conventional speaker system regardless of the pedigree of the components. Whether using a $2K or $500K source, pre/amp, and speakers, most systems without Stereo Unfold will likely suffer “center image fixation”. The Valor allows for “center image relocation”, as just described. What if I want to hear a bit less of Paula Cole’s lead on “The Ladder” and more of the harmonizing voices? Valor can do that. Christopher Cross, Dan Fogelberg, The Little River Band, and a myriad of artists with decades old recordings have that “distant” lead, lacking the “oomph” I recall when I heard them as a young man listening through a portable radio. Valor can pull those voices in closer, increasing the vibrancy of the song and solos. When you begin to realize the power of SUT, it’s a feature you simply do not wish to be without. No spinning of several dials or flicking of crossover curves is necessary. The power to re-imagine the recording is accomplished in discrete steps in real time, locating the action in the middle. It becomes an addictive, necessary element of satisfaction in listening. It is possible to choose a best compromise setting so that most lead performances are located pleasingly in the soundstage. Certainly, it is not as though something is wrong; rather, when you hear what SUT does you begin to realize how much was wrong that you thought was normal. How would you like to take a cruise on a ship that accommodated 40 people and had two dinner entrees? Perhaps a micro-SUV would not be suited to a family with five children. Winning a T-shirt sized M when you are an XL is not too thrilling. Scale matters, and often it matters more than all other variables. However, in audiophilia one rarely hears mention of the “scale” of the presentation of an audio system. There is often talk of how large the soundstage is, but such comments are used pertaining to everything from a bookshelf speaker system to a ceiling-to-floor flagship speaker. I have a fairly simple measurement in regards to scale; it is relative to the layout of the drivers on the front baffle of the speaker, as well as the cumulative driver cone space of the drivers on that baffle. A bookshelf speaker inherently does not have capacity for large-scale sound. How can I come up with such a simplistic assessment of “scale” for a speaker system? Easy, I have used numerous ones of differing size and design, and the consistent determinants of scale are those just mentioned. 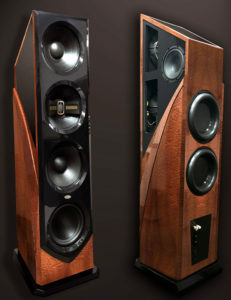 Why do you think Bill designs Legacy speakers with such large drivers? It’s not in order to look cool, but rather to create sound with enormous scale. Until recently, one could get a Legacy Audio speaker with close to the size of the Valor for less than half of what it costs. However, you could not get it with the Stereo Unfold Technology, which is the game changer. Scale of the presentation is fawned over at audio shows, but mysteriously seems to be less important when the audiophile is back at home. Why is that? I suggest it is due to the cost of the speaker systems that can do scale big time. Legacy shows at AXPONA in an enormous ballroom, and that room skews the perception of the power and size of the soundstage Valor makes. In that room Valor seems competent, reasonable, but that is nothing remotely close to the experience of scale that the speaker produces in a home environment. In the home the scale is overwhelming, engulfing. Scaled up experiences signal to the brain a sense of luxury, excitement, living large. Remember, Valor does not have to splay the signal in order to gain that scale; the concentric 14” driver retains the focus of smaller floor standing single driver speakers. You don’t need a huge room to clearly hear the difference. My listening room is smallish for Valor, at 13’ x 23’ x 7.5’. Far from the walls seeming to restrict the speaker’s operation, with the Stereo Unfold the means to push out the walls virtually makes not only the head wall disappear, but also the side walls. Rather than an attempt to make the speakers disappear in the acoustic space of the listening room, Valor has the capacity to make the walls disappear as well. This allows the recording space to assert itself upon the ears, giving a very strong illusion of sitting in the recording venue. To that end, Bill has consistently sought to bring to market speakers that while large in physical size, play exceedingly well in small rooms. The Whisper especially, and now the Valor, are terrifically gratifying and rather than sounding inhibited by the room, make other fine transducers sound inhibited in my room. The Bohmer correction moderates the expected modes that would normally plague a smaller room. Again, this is a very unusual aspect of Valor, and one that is under-appreciated. While most gargantuan speakers would have no means to fix the obvious mismatch between speaker and room, it’s not even an issue with Valor. Persons with a moderately sized room, but larger sized wallet need not fear Valor would suffocate in their room. There is something about the energy in the live GRP recording of Dave Grusin’s Countdown that captivates my soul. Hearing the band with the lack of an imposed studio environment is one thing, but hearing it created by Valor as it pushes out the boundaries of my room, and reaches into the recesses of the concert hall, simultaneously allowing me to relocate Lee Ritenour’s guitar wherever I wish is a euphoric experience! There is no shrinkage of band members or instruments common in small-scale speakers that cannot create a believable representation of size of performers. There also is no dynamic performance barrier, as the PUNCH function in the user defined settings allows me to select just the right amount of slam, deep bass energy. It is as though I can re-engineer the concert to my tastes with the use of two slider controls! I am not a huge fan of the group Snarky Puppy, but my friend, Dave, has to hear Shofukan every time he visits. Like a meme that sticks in the head it gets to the point that I play it because I have heard it enough times to be an acid test of particular aspects of sound. This is a larger group recording and the instruments can be placed specifically in space. What cannot typically be done, even with the Vapor Audio Joule White or the PureAudioProject Trio15 Horn 1 is to assess the actual height of the players and instruments. The Valor can do that, sketching at what height the trio of trumpets are being held, where in the air the drum kit cymbals are located, and the fact that the bass line is without physicality because it is synthesized by the guy seated at the keyboard. Queue up a show tune track like “20,000 Feet Above” in Lorne Balfe’s movie soundtrack of 12 Strong and you are in for a treat with Valor. Don’t be fooled by the monotonous droning of this piece, the beauty is in the scale. When the crescendos come they seem limitless, with power that seems to be falling from the heavens. The Valor’s dual 12-inch subwoofers pressurize the room to the degree one wishes! Speakers with 8-10” woofers cannot begin to create the limitless soundscape required for this piece to impress. When I administer lengthy Interviews to manufacturers there are a lot of questions, many which are not fully formed, and many more questions or hypotheses formed which arise from the manufacturer’s replies. As I have included for your edification the entirety of the Interview, I will touch on some of the thoughts I had while writing it. This will shed more light on the Valor system and the methods used in creating it. The Contour window of the Wavelet’s software remote is important for nuancing the speaker to play at just one’s desired mix of frequencies. I recall the extremely powerful Xilica– yea, too powerful – processor made available by Legacy back in the day when the ability to actually manipulate the filters for each driver set of the Helix Speaker System were in the hands of the owner. The giddiness of flipping around the filters in terms of frequency, slope of the filter, output, etc. was intoxicating. The problem, however, was it allowed one to royally screw up the speaker’s performance quickly! Bill would field calls regularly from people who messed up the settings and could not get back to “normal” on their own. That taught him that taking away some of the control was in the owner’s best interests. There still is plenty of manipulation available to the owner in terms of the overwhelmingly important areas of output at the designated frequency of the driver sets. This allows the owner to “contour” the system’s sound to taste. It works wonderfully well, and it becomes obvious quickly that the settings selected automatically in setup by the system are pretty close to perfect. I often add a bit more LF presence because my basement floor and room construction are so solid that even a pair of subwoofers with twin 15” drivers can struggle to send shudders through the floor to the listening chair. I discuss these settings also in the V Speaker System review (A cursory examination of that review would be appropriate for those considering the Valor as a final speaker system). Among these impressively effective sliders for the different frequencies, the one at the bottom is most notable, the aforementioned PUNCH control. Bill states in the Interview that this control is centered at 50Hz and can be increased a maximum of 6dB or decreased down to 10dB. It’s a mid-band frequency emphasis adjustment in what is called the “presence” region. Subwoofers also often have such an adjustment. So, what’s the big deal about it? In brief, it shifts the perceived dynamic output, and as a result also perceptually shifts the mixture of the drivers’ frequencies. The speaker can be made to sound more aggressive, or more polite, more tipped up or tipped down in terms of brightness. To tip up the speaker toward a more upper frequency emphasis one pulls back the PUNCH setting, and to bring the speaker toward a more low-end emphasis, the opposite is done. The beauty of this control is that with very little movement holistically the speaker seems to become soft, pliable like Pay-Doh, momentarily until the settings are finalized once again. One gets the sense they can manipulate the entire output, even though a select segment of frequencies is affected. Here is another aspect of speaker performance that completely eludes passive models. One has to flip components or wires to make such adjustments, but with Valor they can be done in moments. That is not to say cables and components will not do such things, but even after one has selected their favorite ancillary gear, the PUNCH setting allows additional refinement. I have gotten really picky on female vocals in my latter years. I simply will not put up with one of my favorite singers having a scratchy, piercing voice for any reason. The innate “irritation factor” of female singers ranges widely, and it is all but impossible for a passive speaker system to handle them all with aplomb. The surgical precision allowed with the CONTOUR menu and the PUNCH setting allow me to set the speaker just right to accommodate all such voices, and not just at soft listening levels, but approaching live levels. How much rock the enthusiast wishes to have in their Rock music is a great reason for Legacy to include the PUNCH setting. The older I get, the less ear-bleed experiences are sought. I never was one to wish to subject my ears to torturous decibel levels, and that is even more so when I am in control of the listening event. The last live concert I went to was Toby Mac, who knows how to use LF as well as anyone. I arrived armed with two fisted protection; the ubiquitous 32 dB reduction foam earplugs in one hand, and in the other… my ear muffs retrieved from the shed where I keep them at the ready for use with the lawn tractor (I also use the foam plugs then). I didn’t give a rip what I looked like. I was not going to return home with tinnitus pounding in my head for a day, reminding me I was abusing my hearing and likely contributing to hearing loss down the road. Was the performance muffled? Yes, obviously, but I focused on the visual aspect of the performance that could not be enjoyed in my listening room. I can get better sound at home. I’m not about to let my looking a bit weird with ear muffs at a concert deter me from protecting my hearing for years to come, allowing full enjoyment of audiophilia. If you want to be a warrior, and experience what you consider heroic “live” level listening with the attendant gut punch, Valor can give it to you, likely more than you can take. My room never rattles because I built it with triple the number of drywall screws, I screwed down the HVAC duct to the drywall, and buttoned up everything. The only thing that can jump is the hung ceiling. With Valor, it can jump! It is true that the more pure the music reproduction, the more one can take higher listening levels. I have been returning to my teen years by playing through the Styx Misson to Mars 2017 release. There are moments when the band is in full flight that the ceiling tile announces its presence. Uh-oh, too loud again! I drop the PUNCH setting a bit and it takes the ceiling rattle away. If you want the dishes in the kitchen to become your “resonators”, play with the PUNCH setting. Bill gave a detailed explanation as to why the DAC portion of the Wavelet has a prodigious 56 bit depth, but only a 96kHz sample rate. With DACs that I have auditioned with upsampling rates up to double DSD, there seems to be a consistently audible “smoothing” that takes place. That does not always translate into a superior overall experience, but one might think it an advantage to include the possibility with the Wavelet. Bill has determined that bit depth more profoundly influences the playback. It is hard to argue with the results obtained with the internal DAC of the Wavelet. 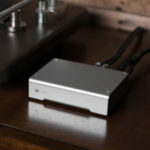 While I have heard more technically revealing DACs, I have not heard one that is both precise sounding and relaxed, seemingly incapable of causing listening fatigue. The concentric assemblage of drivers is such a thing of beauty! It reminds me of the time I spent with the Tannoy Glenair. Several aspects of the Valor’s design cause me to recall my wild days with that speaker. That is not a typical recollection with that prim and proper speaker, but then again the typical audiophile doesn’t put 1,000 Watts of power on them! I had been reading about the Japanese craze with high efficiency speakers and high power. I just happened to have at the time some class D amps that would do the trick. The result was like a roller coaster at an amusement park, the sheer action was a thrill ride. The Valor does that kind of screaming thrill ride intensity, if you wish. I certainly wished for it, and got it! The use of a compression driver with a waveguide is instrumental in that vibrancy, that rush of adrenaline sense of speed. I had not fully appreciated such characteristics in speakers until I had my first dose of a horn speaker in my room. When horn speaker lovers say they sound more natural or live, they are predominantly discussing dynamics. A comparison of the Magnepan .7i and the PureAudioProject Trio15 Horn 1 quickly cemented in my mind the virtues of horn speakers when it comes to the ferocious intensity possible in domestic systems. The Horn 1 made the .7i sound somewhat limp, reticent, unexciting. Finally, and this is no minor point, placement in your room is no longer an issue. Legacy Audio speakers are known for their wall-friendly placement, allowing for positioning much closer to the perimeters than commonplace. I have run the Whisper DSW Clarity Edition as little as 13” from the side walls, and I can do the same with Valor! Whisper was designed to be amenable to side-walls, and with the Bohmer correction, Valor can be snugged up to walls as well. No one is going to suggest that this is the goal, or ideal, but, the Legacy Audio technology allows for it with little sacrifice of sound quality. In a room my size, I would have many bass issues placing a traditional transducer with the size of the cabinet and drivers just over one foot from the side-wall. Bill considers this a very important aspect of his speaker design, and he is correct. Removing the potential big speaker in little room issue is a very desirable characteristic of Valor. What is the result of combining the attributes of center image relocation, enormous scale, and both extreme coherence and dynamics? The result is a speaker system that can handle music scores with characteristics more closely modeling live performances, or shall I say reconstructing them? For that is what Valor does, as if disassembling the performance on site, transporting it to your room, and reassembling it there, fitting it precisely into your room’s dimensions. In addition, I have rolled into my playlist collections from composers of movie soundtracks. Two of these collections that present a wide range of performances including solo instrumental, symphonic and blended symphonic are James Horner – The Classics, and Hans Zimmer – The Classics. The similarity of the titles is not coincidental as the core musicianship for both is the Czech Philharmonic Orchestra. I’m sure this will meet with approbation by purists, but I don’t care much. As with any music genre, the goal is to find music that satisfies one’s soul, not the approval of elitists. Audio systems operate similarly whether playing Daft Punk or Tchaikovsky. Speaking of Tchaikovsky, I have his music playing now as I craft this segment of the review. Live music events have a way of recalibrating expectations, putting things into perspective. Attending a concert resets the criteria of what is aspired to in audio systems. While not all the above musical pieces might be considered “heroic” as regards their style, there are very few speaker systems than have capacity to reproduce them in a heroic fashion. To do so the speaker system must have scale, extreme dynamics, superior information retrieval, and a sense of utter ease while doing so – the very things that Legacy Audio has built into the Valor. With electro-mechanical systems in most cases (and you are likely not the exception) you get out what you put into it. I used to ride a Kawasaki Versys 650cc, but recently changed to a Yamaha CJ-09, which is 847cc. The position of the handlebars and seat, torque of the engine, clutch and throttle controls, balance in cornering, and acceleration all are different. I’m still breaking in the new bike, but already with just about 100 mi. on it I can tell the experience is going to be holistically superior. So, also, you can get an idea of the live experience with a lesser speaker, but Valor brings you much closer to the experience of the live event. It simply takes more – more design effort, more technological innovation, more physical work to install, more caring to maximize the system in order to get heroic performance. You will have to pony up more money than you had anticipated. However, as I had pointed out in the V’s review, you are buying the bulk of the system with the Valor; preamp, DAC, amplification for most channels, and room correction are included. If you were to consider the Stereo Unfold Technology another layer of “component” added, as it brings a fundamentally different experience, that would make five elements of the system incorporated into the speaker system, which goes a long way in explaining the extreme cost. There is no reasonable way to justify the cost of Valor to the budget audiophile. This is an enthusiast product, one that is suitable for those demanding the very best performance. Bill took the V speaker system to Sony’s studios. They should upgrade to the Valor, no questions asked. I am thoroughly familiar with three speakers of different genres, and each one would be considered by the bulk of audiophiles to be reference-worthy; Kingsound King III electrostatic, Vapor Audio Joule White, and Legacy Audio Whisper DSW Clarity Edition. They simply cannot compete on equal footing with Valor. I’m reminded of this year’s NCAA Men’s Basketball Tournament, where Duke’s Zion Williamson was a man among boys. His innate capacity as a player was on such a different plane that he seemed out of place. No wonder this freshman was going to go into the NBA draft straightaway. He is 6’ 7” tall, weighs 284 pounds, and is said to have a vertical leap of 45”! This is a player on an entirely different level than even superb college players. Consider Valor to be similar to Zion Williamson. Being a friend of a HiFi reviewer can be costly. I seem to have an effect upon people such that the more they visit my listening room, the more they spend on their system. Why is that? I humbly submit that it is because they are hearing things they wish to experience in their own system. I am not trying to get them to compete, but rather they are invited into my realm where I compete against myself to push systems farther than before. They hear the result of my exploration of sound and gear that I have determined over time must result in a new vista from which to experience music. The past twelve years has been a thrill ride of performance that continues to elicit adrenaline rushes and spiritual moments of serenity and peace. My friends have heard the calculated changes to the system, and they have learned two things with certainty; the performance spectrum is vastly larger than they suspected, and tangentially, the gear and cables matter vastly more than previously concluded. Over time my custom, tuned room has been largely unchanged, but the system and speakers have improved with consistency. I am not inexperienced with the struggle of the hobbyist who hears a good rig, then goes home and decides they are missing something. For decades I was that hobbyist. For that reason I attempt to draw no direct comparisons between what I build and what my friends build. I’m not here to sell them, but to enthuse alongside them. Several of them started out with respectable systems, but ones that were limited substantially by the level and cost of the gear. Their systems did not evolve (Describing change to environments and systems that require intelligent input as “evolving” is ignorant.) – they were developed thoughtfully. How amazingly have they developed! It is common now for me to hear their rigs and think there is an aspect of performance they have captured that I would like to improve in my system. A member of our group, a vinyl lover, heard enough beauty and convenience in digital sound that he did an overhaul of his digital front end. Another, who joined our group about five years ago and began as a mocker of aftermarket cabling, on the way to a whole new setup perhaps four times the cost put no less than $3K into cables. One guy already had it in his mind to do the quantum leap. 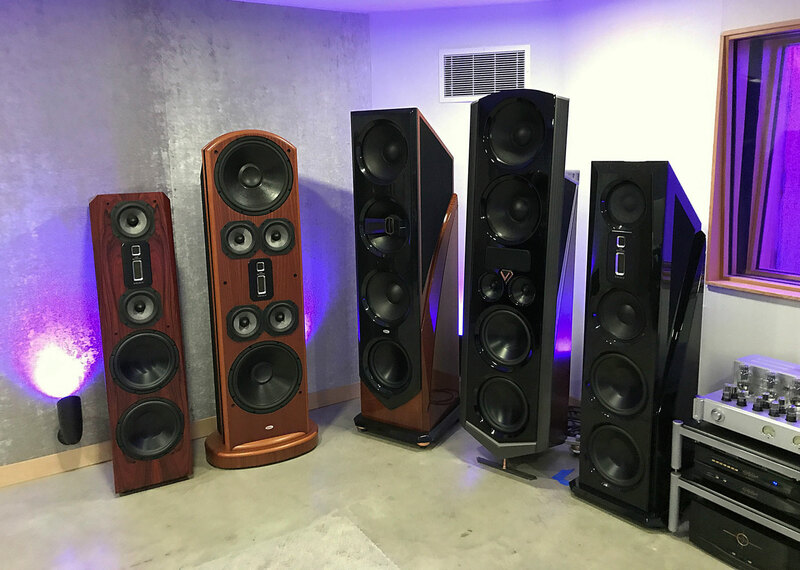 He retired and relocated from California’s tech sector, and with the help of an inheritance went from a 30+ year old department store stereo to a $130K plus high end system. That’s making up for lost time! Hearing my system as he was shopping reinforced his determination that the expense was justifiable. So, I apologize to my audiophile friends for infecting them to blow so much money on audio. I have not pushed them to empty their wallets; it’s just happened through visiting each other’s homes. But, I don’t think any of them hold it against me. Rather, I think they are more gleeful as hobbyists now than when they were nit-picking their systems and hoping for better. Now, they have better! My reader-friend, on the one hand I apologize if my enthusiasm for the Valor system has nudged you to divest of your funds. On the other hand, I do not apologize for guiding you to one of the best speaker systems on the planet. Should you be brave enough to obtain Valor, I am certain you will be among the most gleeful of hobbyists!